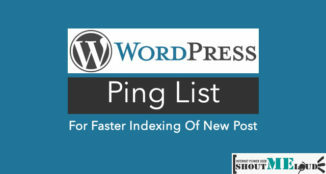 WordPress is one of the best platforms for blogging, but people who’ve just started blogging, or are using BlogSpot, may find it hard to use WordPress. WordPress is bit technical, but if you can manage a Blogger blog, managing a WordPress blog will not be that much tougher. When I started with WordPress, I never got a WordPress guide or a complete WordPress video tutorial to help me get started with WordPress. But because I know how invaluable it would’ve been, I’m compiling some video tutorials for WordPress to help out anyone struggling to get started. Learn: How Much Does It Cost To Start A WordPress Blog? If images speak a thousand words, videos speak… millions! For a beginning WordPress user, words like interface, dashboard, plugins, themes, etc. all sound intimidating. For a newbie, learning how to install a plugin on WordPress can seem overwhelming. And even before you start installing plugins, how do you decide which plugins to install? These videos will help you answer all of those questions (including which plugins are essential to have on your WordPress site). You can also refer to my static WordPress guide and bookmark it for later use. Note: These videos are going to be lengthy, and if you are reading this on mobile, I suggest you save the link and open it later on your computer for a better viewing experience. Let’s start with the classic “What is WordPress” video. If you are a first-timer and have never heard of WordPress, it’s a blogging platform which will let you create your own blog. 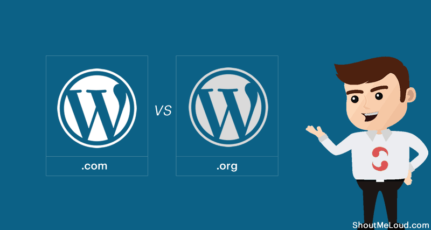 It comes in two variants: WordPress.com and WordPress.org. Do you really know what WordPress is? WordPress.com will let you create a free blog like yourname.WordPress.com, though having a custom domain name is also an option. On a self-hosted WordPress blog (aka WordPress.org), you need to install WordPress onto a server and manage it yourself. This sounds a bit technical, but self-hosted WordPress sites have many advantages over free ones. We will look into that later (or you can read about it here). In this video, you will learn how to install your WordPress blog onto the Bluehost server. You can grab Bluehost hosting for a discounted price using this special promo link (checked Nov. 2016). 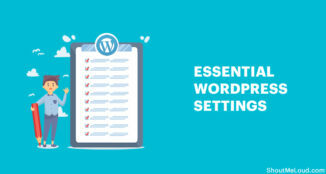 After installing WordPress, there are a few essential settings which you need to take care of. In this video, you will learn about a few things you need to do after the WordPress installation. The best things about WordPress are the plugins. They let you add new features and functionalities to your WordPress blog. In this video, you will learn the steps necessary for adding new plugins to your WordPress blog. In this video, you will learn how to add a new theme to WordPress. XML sitemaps are an essential part of your blog. Learn how to generate a WordPress sitemap using the Google XML Sitemap plugin. Feedburner is the best free way to burn and optimize WordPress blog feeds. In this step by step guide, you will learn how to burn WordPress blog feeds using Feedburner. In this video, you will learn how to take a full backup of your blog’s database. This is an important step because backups will be very important during a moment of chaos. From time to time, WordPress updates its platform to keep your site safe and secure. Watch this video to learn how to update the databse in the proper way. WordPress uses a database to store data and to keep the blog healthy. You should optimize your blog’s database at regular intervals. In this video, you will learn how to optimize your WordPress database with a few clicks. Watch these videos several times to make sure you have a good idea of the processes involved. Over time, this stuff will become second nature. It seems daunting at first but becomes very easy with practice. For now, if you want any specific video tutorial for WordPress, let me know via the comments. 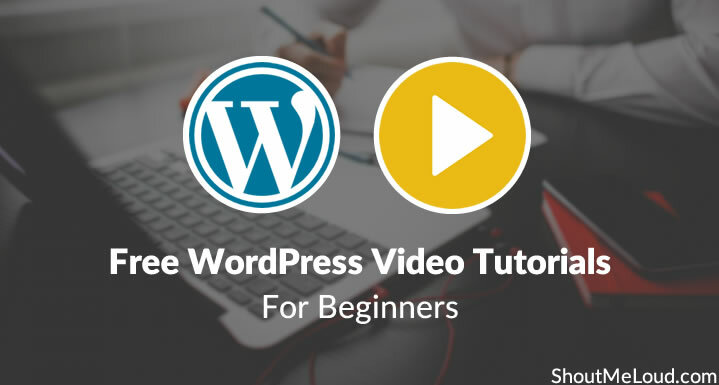 You can also subscribe to my YouTube channel for more such WordPress training videos. Thanks harsh for giving video tutorials. Can I download all videos ? If yes then please tell me how ? There are tools/addons available, using them you can download these Youtube videos. Karun you can download these videos by right clicking on the video and copying the url of vidoe.Then paste the url in new tab and just add pwn before youtube.Then you will get many links to download these videos. Visit keepvid.com and paste… You will be able to download the video in multiple format.. 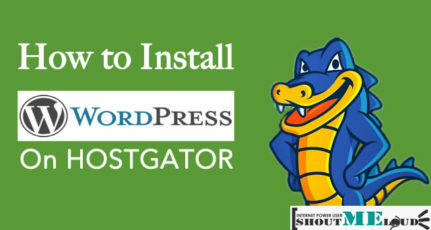 I am confused between HostGator and BlueHost. But mostly i will go for BlueHost as one blogging mate of mine also recommends this. I wanted to ask if i can shift my current database, files and stuff to Bluehost. Do they provide free DB transfer?? Thanks for the ultimate list of Free WordPress Tutorial videos. It will surely help people who are beginners to blogging. awesome, this is really great peace of information Thanx Harsh Sir, the idea and way if presentation is really more than great, really thanx for this guidance.. Does this video tutorials apply to other hosting services apart from Hostgator and bluehost? This is very great post and video is very nice and very user friendly. This article useful for new blogger for How to install and configure wordpress on web hosting account. Hello Harsh, thanks for sharing these basic WordPress video tutorials. I think these videos will be pretty helpful for the WordPress beginners who have just started out with it. Starting from installation to the configuration, everything is included. Thanks for the share :). I am looking for a free PDF / PPT on basic wordpress course, but not able to find. Can you plz help me…….. There is a lot of useful Stuff in there. He really worked very hard on it. 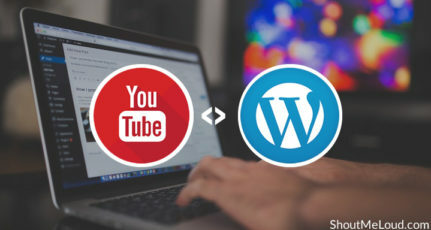 Hey harsh sir, i follow all your video tutorials for WordPress but i have a problem Sir, please give me solution asap please. 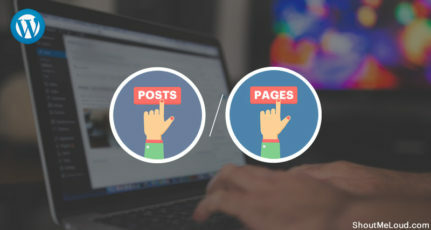 i wanna add posts in separate pages, actually the problem is when i add a new post in my blog then it appears in default home page but i want it to appear in the specific page which i want and home page as well. please give me solution asap please. Please make a step by step video about this problem and add this to your youtube channel. If I haven’t please elaborate what you trying to achieve. 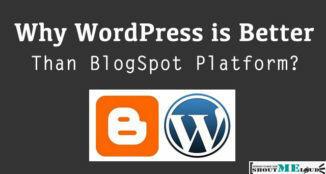 If you just looking for a free blog and you don’t want to ever upgrade it, then go for Blogger.